Corkscrew Pass is located in a beautiful area that offers something unique in the San Juan Mountains of Colorado. Framed by the three majestic peaks of the Red Mountains, Corkscrew Pass traverses this beautiful high alpine area with the lush, green evergreen forests contrasting with the bold rusty red color of the mountain peaks that provide the namesake for this area and US 550's route over Red Mountain Pass. The most beautiful part of this route is just how untouched by man it is in comparison to the surrounding area. 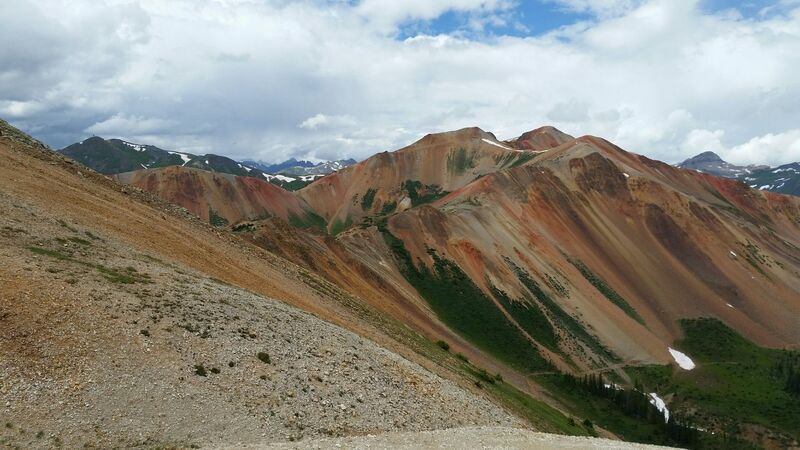 The high Iron content in the rocks did not lend well to the presence of gold, leaving this area not suitable for the mining industry that dots the landscape throughout the San Juans. The trailhead is well marked on the east side of US 550. Look for a large rock wall that looks similar to a dam. 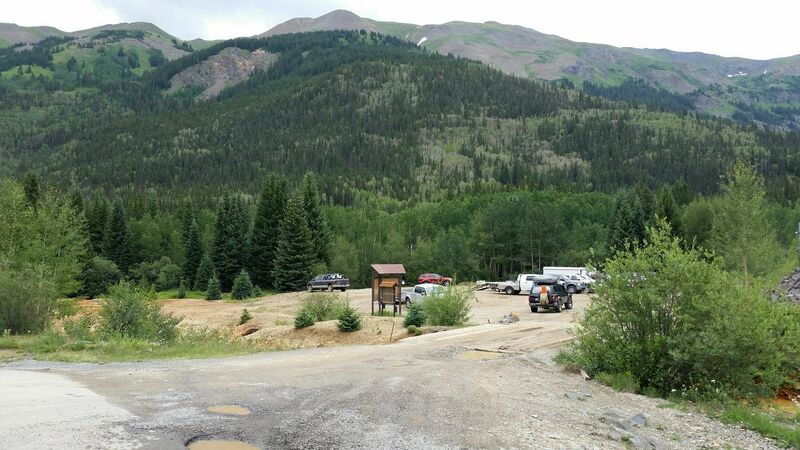 There is a large staging area at this point to park and unload OHV's. 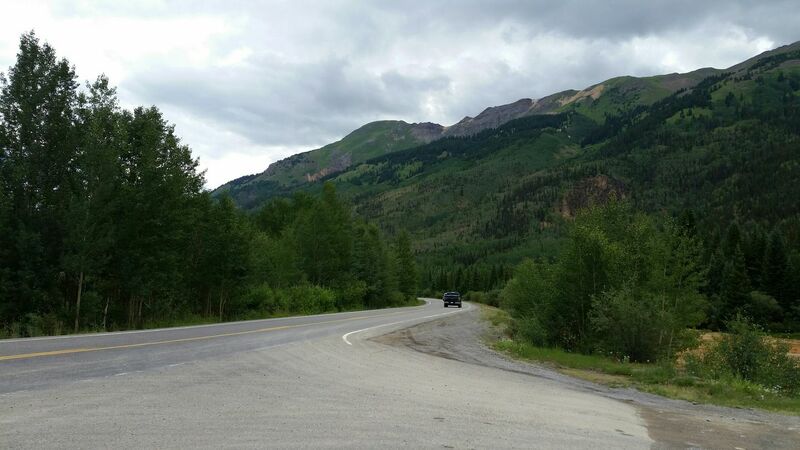 From the corner of US 550 and 6th Avenue in Ouray: Travel south on US 550 for 7.9 miles. Follow signs for Ironton Park. The trailhead is on the east side of US 550 at the large structure of rocks that resemble a dam. Greg Stokes Is a Colorado native, born and raised in Colorado Springs. He has been off-roading since childhood, his parents say his first trip was a Jeep run over Medano Pass when he was only 14 Months old. Greg has been at the wheel of everything from dirtbikes, ATV's, early Jeep CJ5's that he has restored, Wranglers, and presently explores in a 1997 80 Series Toyota Land Cruiser and a 2016 Kawasaki KLR650 motorcycle. Greg is a proud Husband and Father of 3. His passion in the off road world is the vehicle-reliant world of Overlanding. 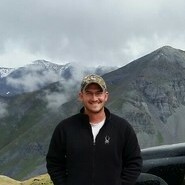 He hopes to one day make it to Canada to Explore the Yukon and Northwest territories. Q: Dumb flatlander question: I’m back in the area with a stock Subaru Outback and would love to see this road again. Grew up in the vicinity and have decent but not expert off road experience. How questionable is the Subaru on this pass? Took Corkscrew pass on our way to the alpine loop instead of the Mineral Creek trail. Depending on your route, you will either start or end in heavy forest. At the time we took it, the trail was in good condition. The views are amazing and trail is in good condition. Watch out for large herds of sheep and their guardian dogs. Cleared and fully open per local reports. 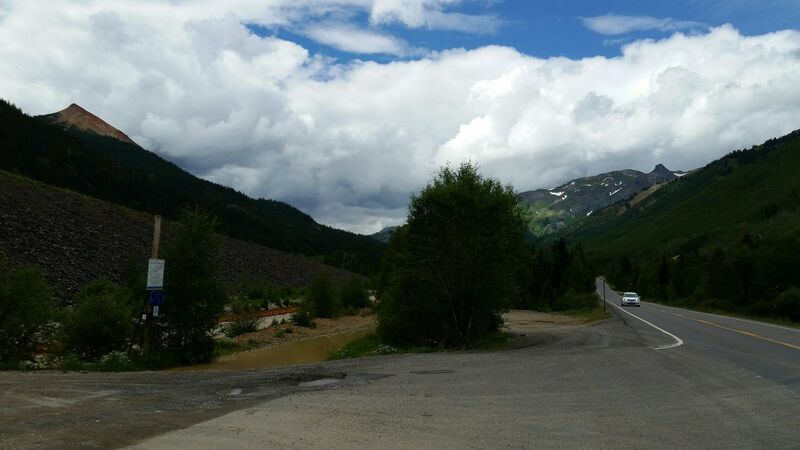 After some 8 hours on the trail, beginning in Ouray, doing Engineer, Animas Forks, California, part of Poughkeepsie, Hurricane, and now finishing with Corkscrew, I was worn out, and pushed though towards Ironton too quickly to soak in the beauty as much as I should have. The track is much different than others nearby. Much more red clay, less rocks. Much more undulation... A lot like my trails back home in TN. You'll get a lot of chances to flex over the rolling trail, but it has no issues. The last views of the Red Mountains are incredible, until you drop down into the timberline and then the views are heavy forest.